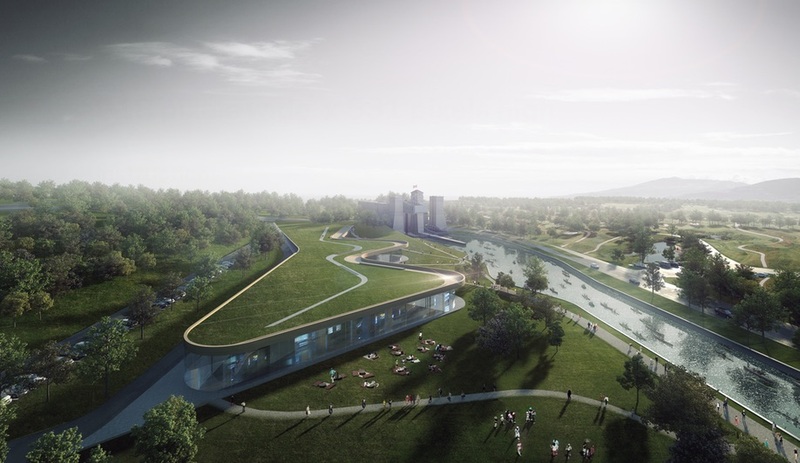 Snaking along a side of the Trent-Severn Canal in Peterborough, Ontario, the low-slung, green-roofed building by Heneghan Peng Architects, with Kearns Mancini Architects, will connect to the water. 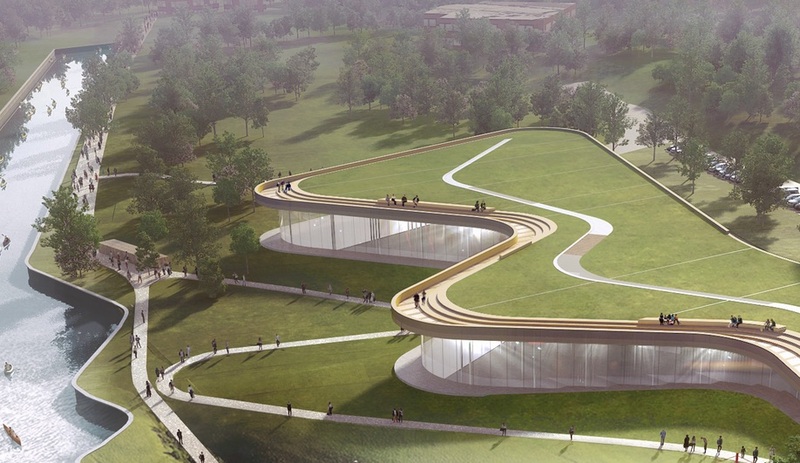 In January, Dublin’s Heneghan Peng Architects, working with Toronto firm Kearns Mancini Architects, unveiled their plans for the future home of the Canadian Canoe Museum – a landscape-hugging building that snakes along a canal in Peterborough, Ontario. 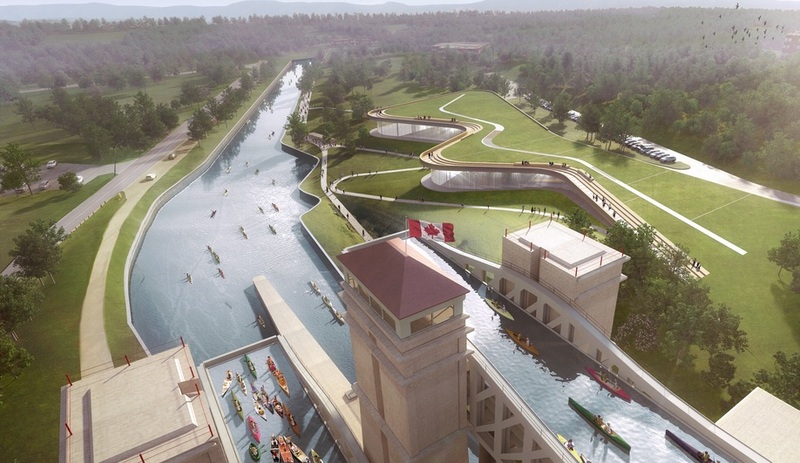 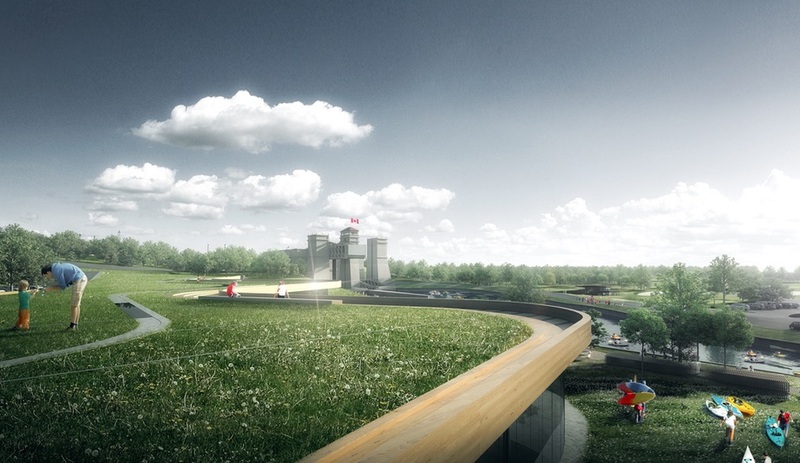 On its completion in 2020, the Canadian Canoe Museum will hold the world’s largest collection of canoes and kayaks, adding to the significance of the Peterborough Lift Lock National Historic Site. 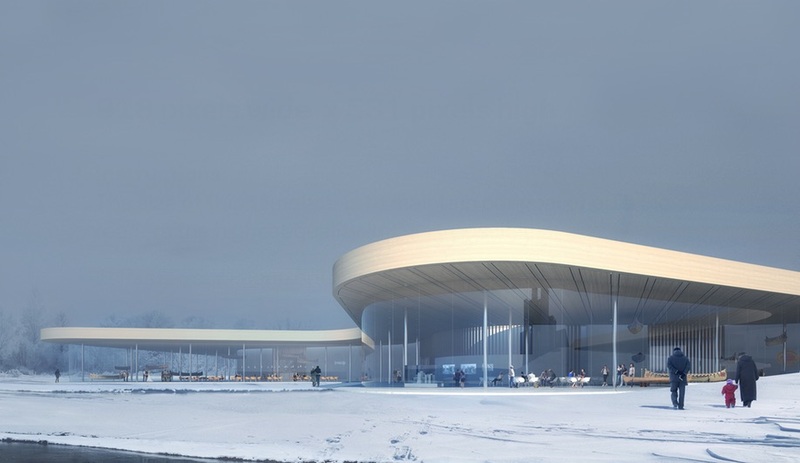 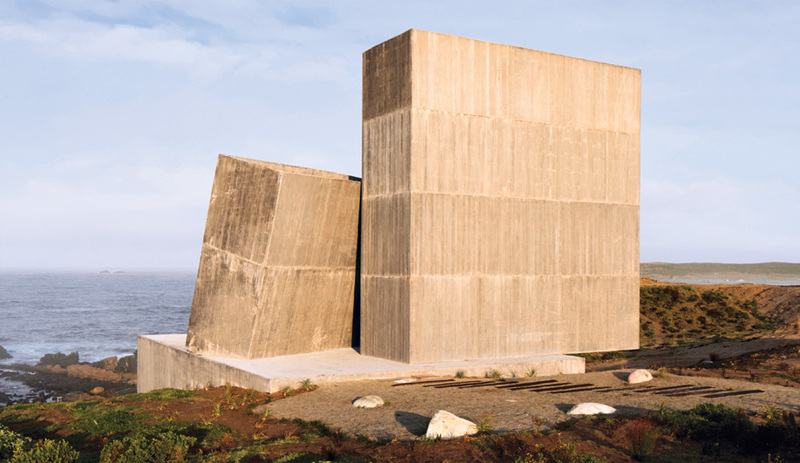 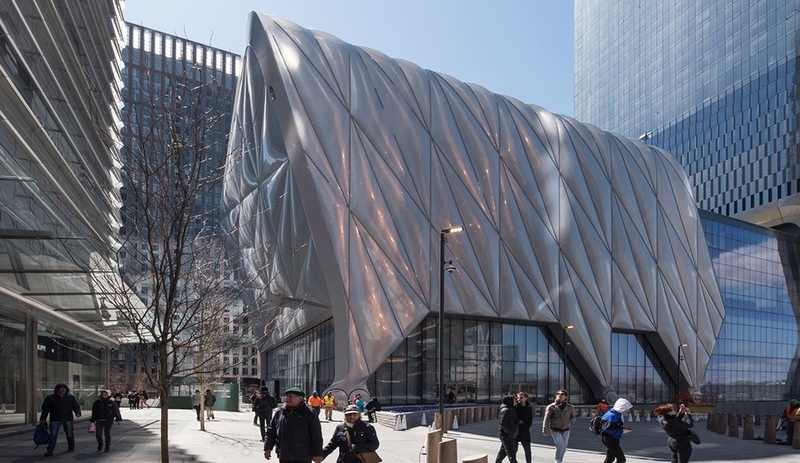 The concept, selected by a two-stage international competition, will replace the current museum’s home in a warehouse-like structure on a nondescript service plaza. 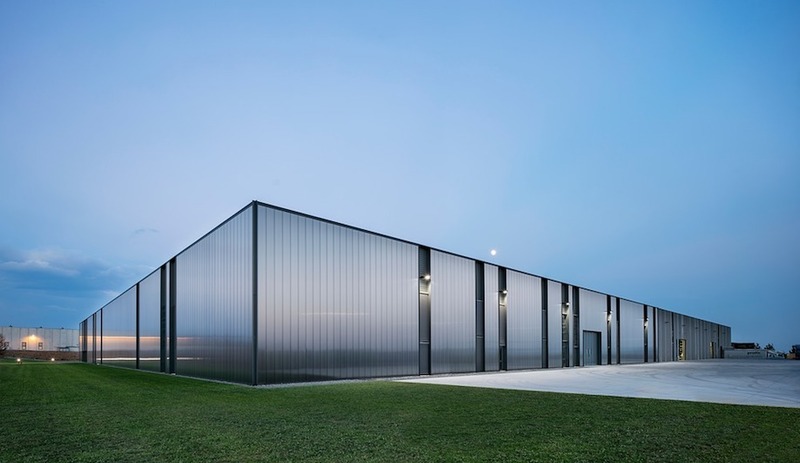 That connection is achieved through a winding, one-storey building of 7,500 square metres, snaking along the side of the Trent-Severn canal. 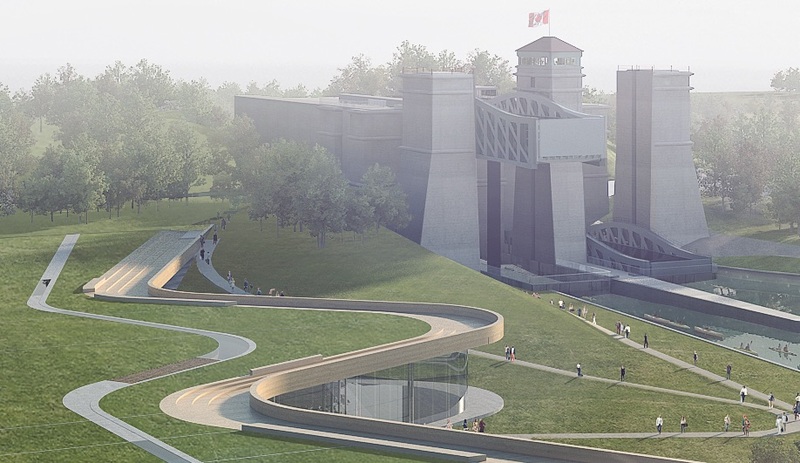 A green roof nearly a hectare in size will overlook not just the canal – a popular spot for recreation – but also this historic lift locks that connect Lake Ontario to a network of smaller lakes, once crucial shipping routes serving Central Ontario. 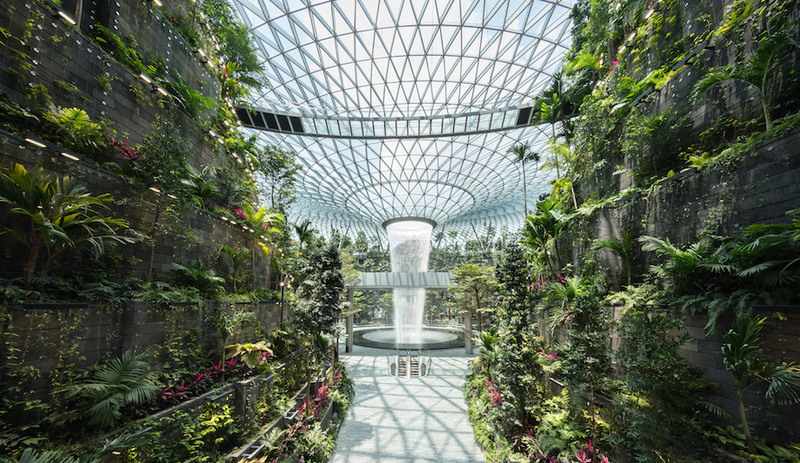 Setting the building partially underground has the added benefit of improved sustainability through thermal massing and reduced energy costs – crucial for artifacts that need to be maintained at a consistently cool temperature. 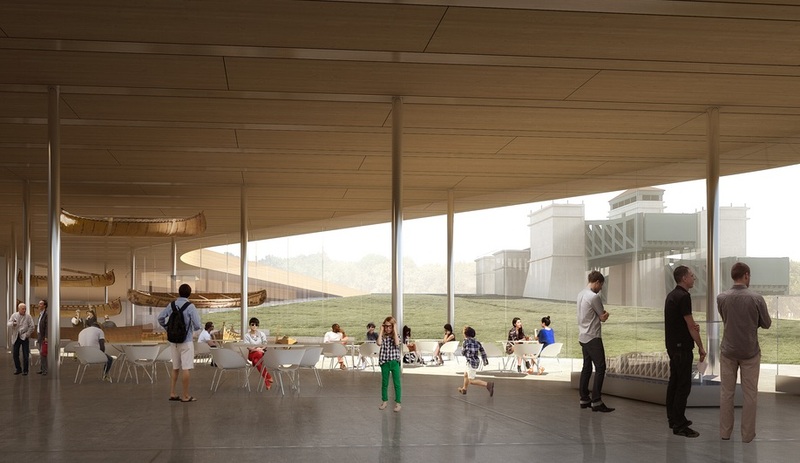 Limiting windows to one side of the building also creates exhibit spaces that can be kept dark, ideal for the museum’s collection of aboriginal artifacts and birch-bark canoes, some of which date as far back at the 1780s, and can degrade in sunlight.